Hazard: The bunny applique can detach, posing a choking hazard to young children. Description: This recall involves infant ED by Ellen DeGeneres coveralls with hat. 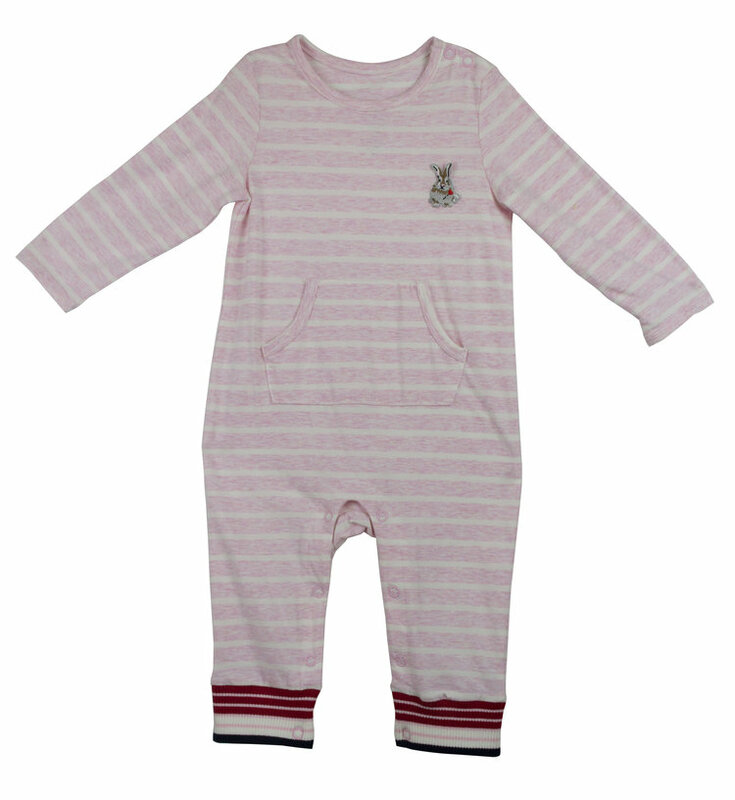 The pink stripped, two-piece, long-sleeve coveralls are 100% cotton. They have a kangaroo pocket and bunny-shaped applique on the left chest, a hat with pompom and snaps in the crotch. Style ED01210 was sold in infant sizes 3M, 6M and 9M; and style ED13210 was sold in 12M, 18M and 24M. The style number and manufacture date code of August 2017 (08/2017) are printed on the inside garment tag located inside the seam of the garment. “ED by Ellen DeGeneres” and the garment sizes are printed on the inside back of the garment. Incidents/Injuries: The firm has received one report in Canada of the applique detaching from the coveralls. No incidents or injuries have been reported in the United States. Sold at: Buy Buy Baby and Marshalls stores nationwide and online at www.buybuybaby.com from September 2017 through January 2018 for about $16. Distributor: Weeplay Kids LLC, of N.Y.